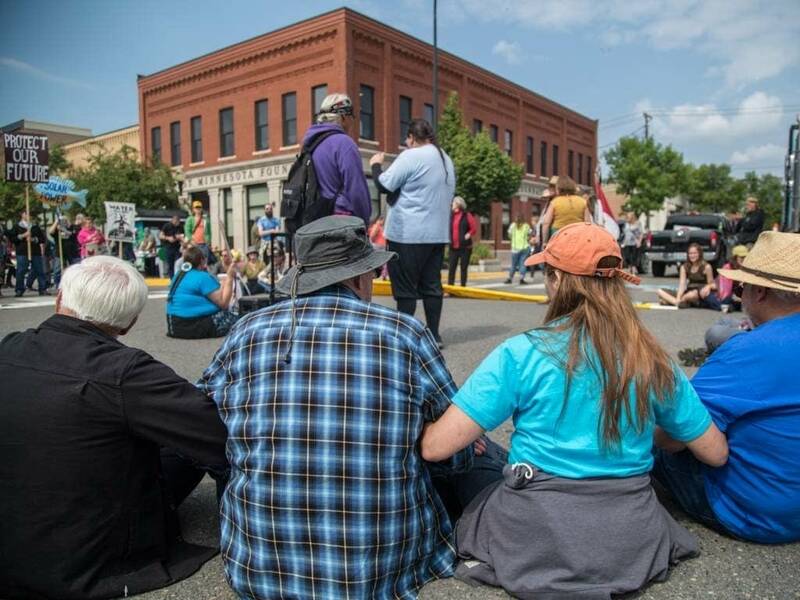 About 50 environmentalists marched down 3rd Street in downtown Bemidji Wednesday afternoon, linking arms across the intersection at Beltrami Avenue to stop traffic. They said they were there to get the attention of Gov. Mark Dayton — hoping he would do something to halt the progress of Enbridge Energy's Line 3 oil pipeline replacement project, which has been winding its way through the regulatory process for years. They brought signs, they chanted and, in many ways, it looked like a typical protest: Demonstrators marching, some anticipating they'll perform civil disobedience, and some knowing they might be arrested for it. 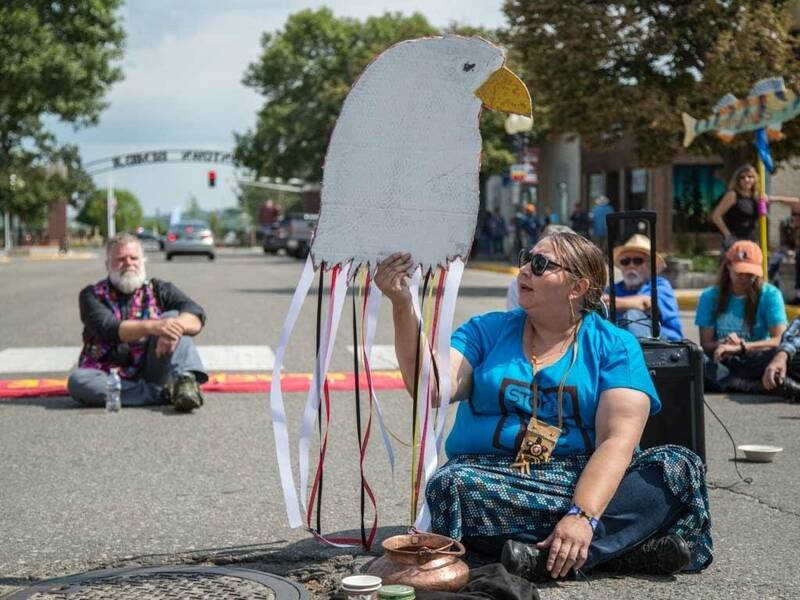 But many of the environmentalists linking arms across the intersection in downtown Bemidji weren't accustomed to this type of protest. The Rev. Dwight Wagenius came up from Minneapolis to be there. He's chair of the climate action group Minnesota Interfaith Power and Light and a minister at Mayflower Church in Minneapolis. "We're all about justice," Wagenius said. "Climate justice. Environmental justice. Economic justice. Racial justice. Those are all moral issues." Wagenius is 76. And he's never been arrested, he said. Once, he said, he attended a prayer vigil that was tangentially connected to Standing Rock, but that's the closest he's gotten to an actual protest. Today, he said, Line 3 has become a big enough threat to the environment, he had to do something. 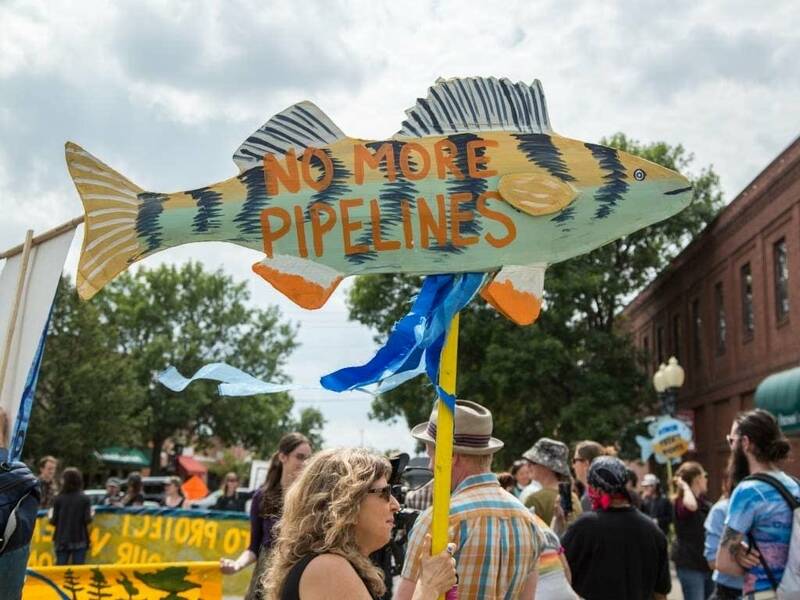 The protest in Bemidji was the first major, coordinated action by environmental and tribal groups since the Minnesota Public Utilities Commission approved a certificate of need and a route permit for Line 3 in June, and it signaled that opponents will likely continue to fight the pipeline despite the state's conditional approval. Dayton declined to comment specifically on Wednesday's protest. Instead, his office referred to a statement he released after the PUC vote, in which he said that decision is not the final approval of Line 3. "Rather, it only allows Enbridge to begin to apply for at least 29 required federal, state, and local permits," he said, adding that construction on Line 3 cannot begin until it receives those permits. 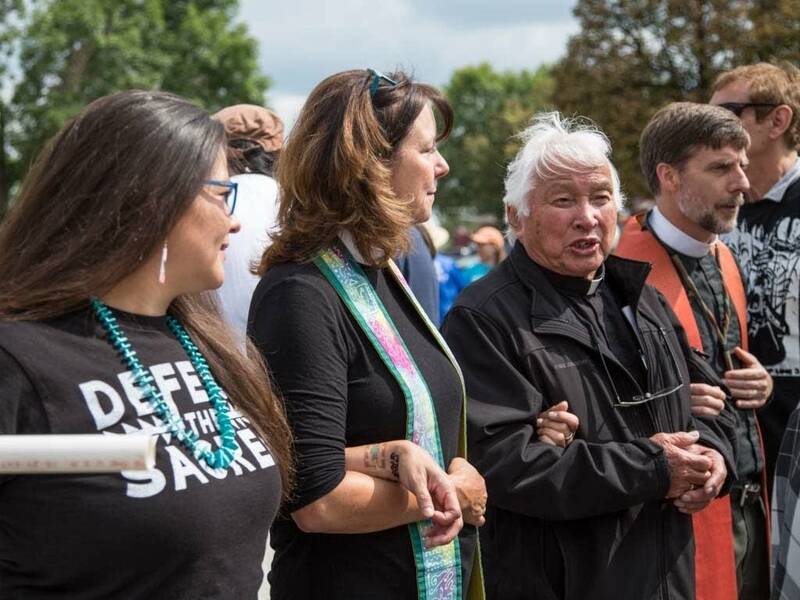 Wagenius and other Minnesota clergy and Native American and environmental activists were joined Wednesday afternoon by representatives from the Sierra Club, including the group's president, Loren Blackford. "Our belief is that fossil fuels should stay in the ground," Blackford said. "So we are fighting pipelines in different places across the country. Through legal action. Through working with local communities like we're doing here." In its 120-year history, the Sierra Club's leadership has only encouraged this kind of civil disobedience three times. The first was five years ago, when club representatives handcuffed themselves to a White House fence to protest the Keystone XL pipeline. The second was in 2016, in support of voting rights. The third was Wednesday, in Bemidji. "It's because of a sense of urgency," Blackford said. "We don't have a lot of time left to make the transition from fossil fuels to clean energy." 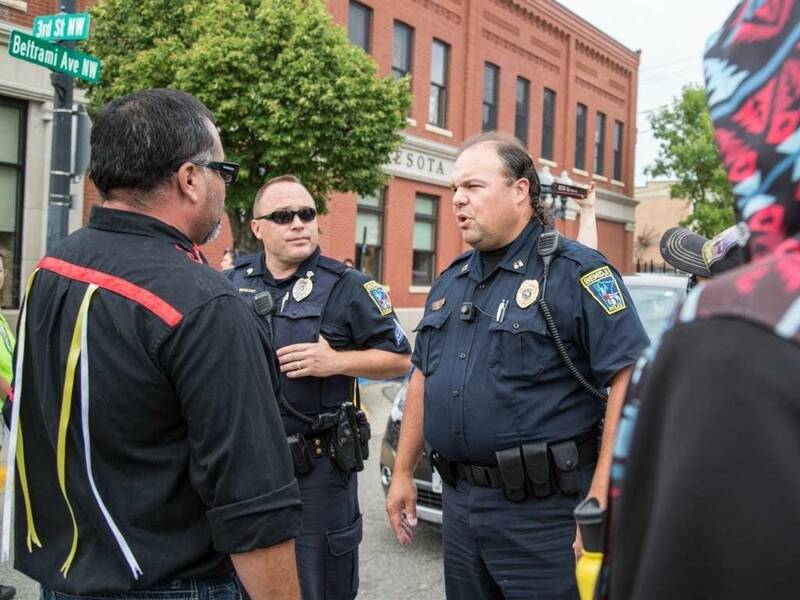 Bemidji Police and Beltrami County Sheriff's deputies issued dispersal orders several hours into the protest. An estimated 25 protesters — including Wagenius and Blackford — were cited for disorderly conduct before the street was cleared. No arrests were made. In a statement Wednesday, Enbridge said it respected people's right to express their views in accordance with the law. "The best way to protect Minnesota's environment and ensure we get the energy we use in the state is to replace Line 3," the company said. Enbridge is still waiting for a final written order from the Public Utilities Commission, and is collecting additional information and data, before it submits state and federal permit applications. It's also working to satisfy several conditions the commission imposed on the company when it approved the controversial pipeline. For example: Enbridge must provide insurance and a guarantee that it would pay for environmental cleanup in case of a spill. The company also must provide a trust fund to pay for the removal of the Line 3 pipeline when it's eventually decommissioned. Enbridge has also agreed to take out the old pipeline for any landowners who want it removed after the replacement line is built. The company is still providing details for those plans, some of which have been coolly received by some of the parties involved in the proceedings. The Minnesota Department of Commerce, for example, said in a filing that Enbridge's insurance coverage isn't adequate, a claim the company disputes. Enbridge said it expects the PUC to release a final written order in September, which should "provide more clarity and direction on a few of the items," said Enbridge spokesperson Lorraine Little. 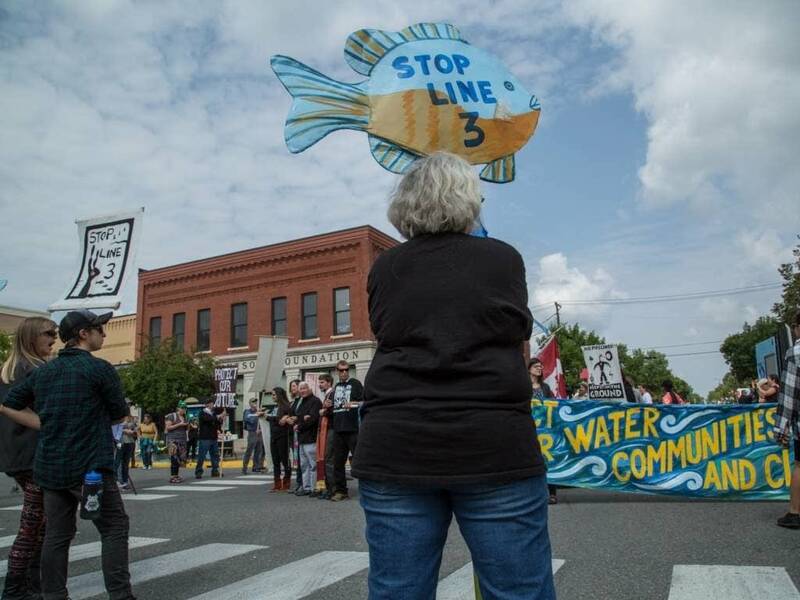 Meanwhile, two environmental groups and four Native American tribes have appealed the approval the PUC granted in the spring for the major environmental review of Line 3. Those cases raise several issues: They allege the review did not consider the possibility that additional pipelines could eventually be built in the new corridor, and did not sufficiently analyze the impacts of potential oil spills along the route. The PUC also still has to approve a final route for the pipeline. The Fond du Lac Band of Lake Superior Chippewa is deciding whether it would prefer to have the new line built across its reservation — along which the current route runs — or have it built off the reservation but on 1854 treaty land, where the tribe retains rights to hunt, fish and gather. 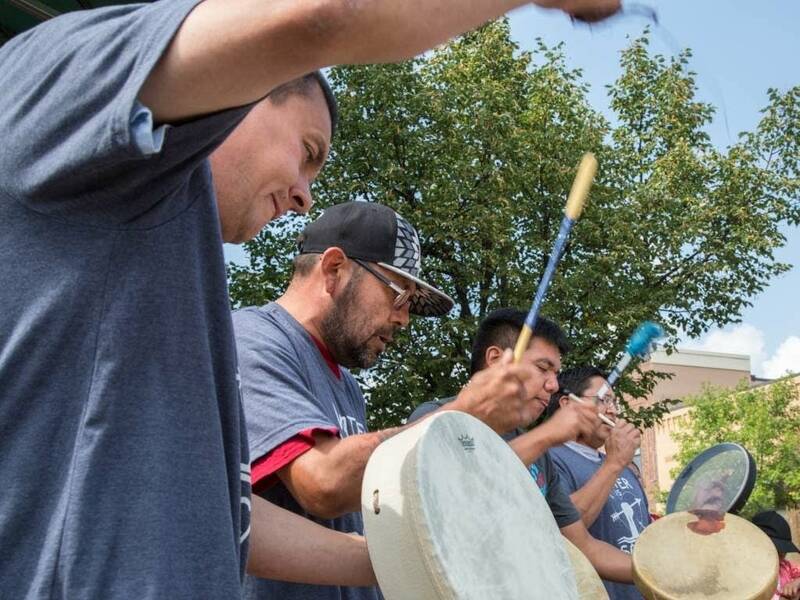 The Fond du Lac Band is also overseeing completion of a survey of major tribal cultural sites along the proposed route, which needs to be completed before construction can begin. Enbridge said it expects that survey to be completed sometime this fall. Assuming the company receives all the permits it needs, and isn't derailed by any lawsuits, Enbridge plans to begin construction on Line 3 in the first quarter of 2019.